Samuel Taylor Coleridge called inhaling N2O "the most unmingled pleasure" he had ever experienced. 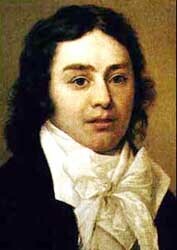 Coleridge is better known for his laudanum and poetry habit than his love of inhaled gases. But he visited Clifton, Bristol to try out Humphry Davy's purified nitrous oxide for recreational purposes, as did Lakeland poet Robert Southey, potter Josiah Wedgwood, and Peter Mark Roget of Roget's Thesaurus fame. Coleridge's interest in chemisty extended beyond intoxication. He was once asked why he attended so many public lectures on chemistry in London. Coleridge replied: "To improve my stock of metaphors."